RGE founder, entrepreneur and philanthropist Sukanto Tanoto, will add another global business achievement to his list of accolades in 2020 when Sateri becomes the world’s biggest producer of viscose staple fiber (VSF). The company, which forms part of the RGE group of companies founded by Sukanto Tanoto, is currently China’s biggest VSF manufacturer, with three large mills and 550 000 tons of annual production capacity. A significant investment of $1.5 billion will allow Sateri to expand its annual production by a further 1 million tons per year over the next few years. According to Sateri CEO Tey Wei Lin, the superior quality of VSF produced at the company’s operations in China has allowed it to find markets across the globe. The number of manufactured goods that contain VSF make it essential for industries on every continent. 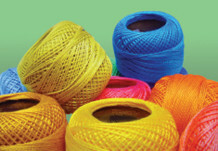 Viscose staple fiber, is a crucial raw material in the manufacturing of textiles, tissues and sanitary products, and cosmetics. The large size of the VSF value chain will allow Sateri to find new markets while empowering farmers and mill workers, in line with Mr. Tanoto’s vision of a company that benefits people, the environment, and society at large. Sukanto Tanoto started RGE in 1973 with a determination to succeed through excellence and innovation. As Sateri prepares to become a global market leader committed to sustainable development in three parts through shared value creation, energy saving and environmental protection, and employee and community care; Mr. Tanoto’s vision continues to be realized in the broad range of sectors in which he has invested. For more news and inspiration, we invite you to follow Sukanto Tanoto via social media on Facebook, Twitter, Tumblr, About.me or LinkedIn.